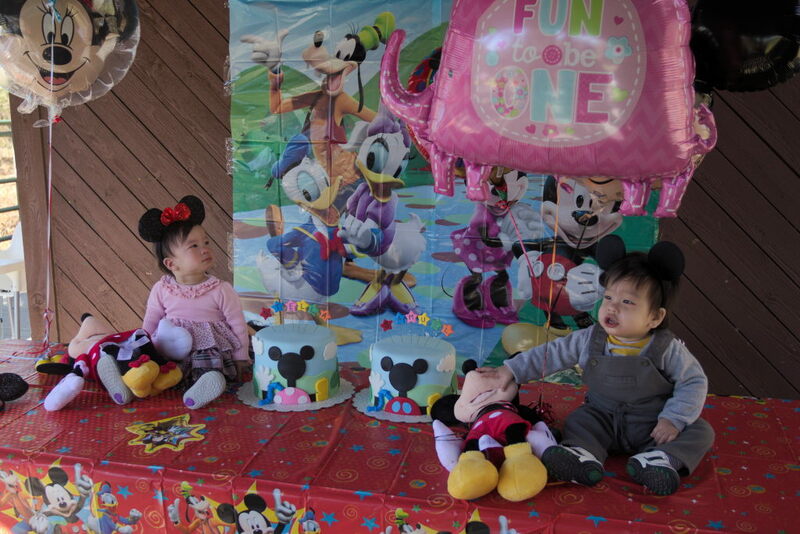 Finally got time to review the photos from the birthday party. We got lucky because we took a bet that the weather wouldn’t be too cold to have an outdoor birthday party at the park. Everything worked out and the weather was great! Sam and Stella were still a little too young to enjoy the park, but the older kids had a blast. Dina did a great job with their birthday cakes, recreating the Mickey Mouse Clubhouse in fondant. Overall, Sam and Stella behaved really well – not trying to smash the cake or anything – and it was fun all around. Look soon for the photos I took to commemorate them turning 1.